Detective Shunsaku Ban and his nephew-assistant Kenichi arrive in Duke Red’s city of the future on the trail of an organ-trafficking doctor. But the city is coming apart, with Duke Red’s adopted son Rock leading a predatory police force, and the enslaved robot population scapegoated as the cause of all ills. Meanwhile, Tima, an android facsimile of the Duke’s dead daughter, goes on the run, unaware of her true nature. The 2001 feature Metropolis was a who’s-who of big names from the Japanese animation business, including a superstar writer, a director at the top of his game, and an original story from the renowned “God of Manga.” It was also famously the last great clash of old and new animation techniques, using the traditional cel animation method in conjunction with conspicuous digital animation – thereafter, almost all Japanese animation would be entirely created within computers, whether it had a hand-drawn appearance or not. Such juxtapositions even carried across into the characters themselves, with a cast that faithfully mimicked the cartoonish look of Osamu Tezuka’s original comic, dwarfed and often upstaged by gleaming, realist steampunk backgrounds and machinery. In Germany, the film is known as Robotic Angel, seemingly because nobody was going to get away with giving it the same name as Fritz Lang’s classic movie. 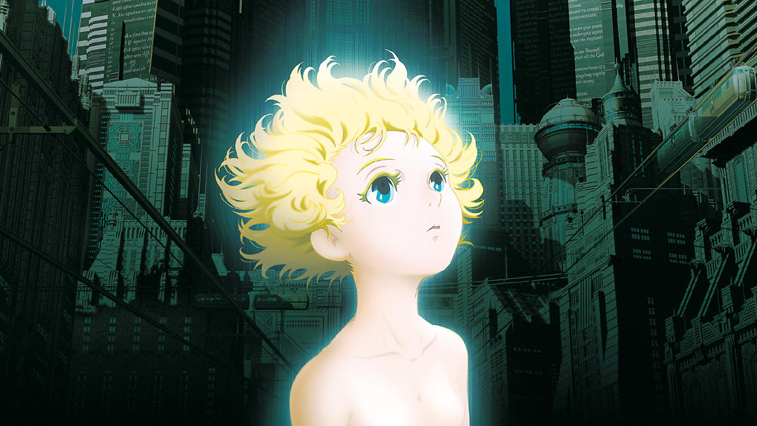 Even in the new English-language release from Eureka Films, the movie is pointedly called Osamu Tezuka’s Metropolis. But this only opens a whole new can of worms. For starters, much of the film’s plotting and look owes more to Fritz Lang’s Metropolis and its distaff descendant Ridley Scott’s Blade Runner, both touchstones for the film’s famous scriptwriter, Akira-creator Katsuhiro Otomo. Yet neither of those works were known to Osamu Tezuka when he wrote the original Metropolis manga, which he began working on as a teenage boy in the 1930s. His inspiration was a magazine article about the Fritz Lang movie, which he had not seen at the time. In fact, Tezuka was once heard to claim that his sole true inspiration was a sighting merely of the poster for Lang’s film, and his teenage speculations as to what it might have been like. At best, Tezuka’s story and setting were inspired by a handful of stills and a bit of text, but were not as directly related to the Lang film as Otomo’s version could be said to be. Moreover, it’s become commonplace in writing about movies to assign a possessive credit to the director. Films of all stripes are collaborative ventures, but although there are occasional complaints from the Writers Guild and other interested parties, it’s the directors who most often get to say that a film is “theirs”. But Osamu Tezuka didn’t direct Metropolis. In fact, he’d been dead for a generation when it was made, and left explicit instructions that it should never be filmed. Metropolis was actually helmed by Shigeyuki Hayashi, usually known by his pen-name Rintaro, an animator who got his big break in the 1960s working for Tezuka on the iconic Astro Boy. Rintaro’s attitude towards Metropolis, although usually spun in the media as an hommage to his beloved mentor, doesn’t have quite the same reputation among many anime professionals. One bitterly observed to me that Tezuka had been crystal clear about his opposition to seeing the story animated. In championing the production, Rintaro was less tipping his hat to Tezuka than flipping him the finger. He even admitted in press interviews that Tezuka “would have hated the film and will probably haunt me as a ghost.” Otomo, too, was heard to say that while Tezuka had been an inspiration to him, he was sure that his cyberpunk stylings would not have found favour with Tezuka, were he to ever see them. Jonathan Clements is the author of Anime: A History. This article first appeared in Geeky Monkey #18, 2017. This entry was posted in News and tagged Japan, Katsuhiro Otomo, Metropolis, Osamu Tezuka, Rintaro by ixarette. Bookmark the permalink.